Welcome to Artbooking in August! 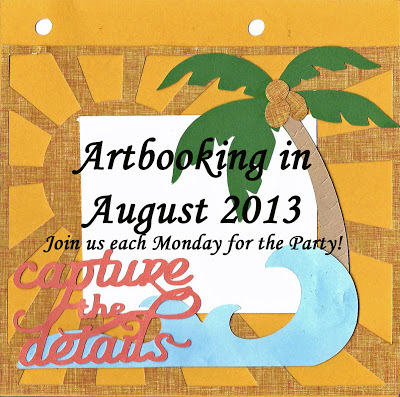 Are you ready to get creative with Artbooking in August? If you’ve just come from Katy Taylor’s blog, you are in the right place. If this is your first stop on the Artbooking in August blog hop, please note that each Monday in August, close to 40 talented CTMH consultants will post artwork to our blogs using the Cricut Artbooking Collection and any CTMH paper pack (even those oldies-but-goodies just waiting for new life as an Artbooking project!). Our challenge is to create 4 different Artbooking projects, including a 2 page layout, card, mini-book, and home decor or gift item. 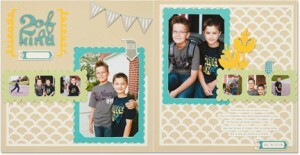 You are going to get so many ideas for using the Cricut Artbooking Collection this month that you are going to want to follow all of our blogs and set reminders in your calendar so you don’t miss a single page along the Artbooking in August blog hop! As you hop along, be sure to leave comments to let the artists know you were inspired by her work. The day before the Cricut Artbooking Collection was released, Big Picture Classes held a Pajama Party where Stacy Julian previewed the collection. She provided instructions for creating the layout on the left. 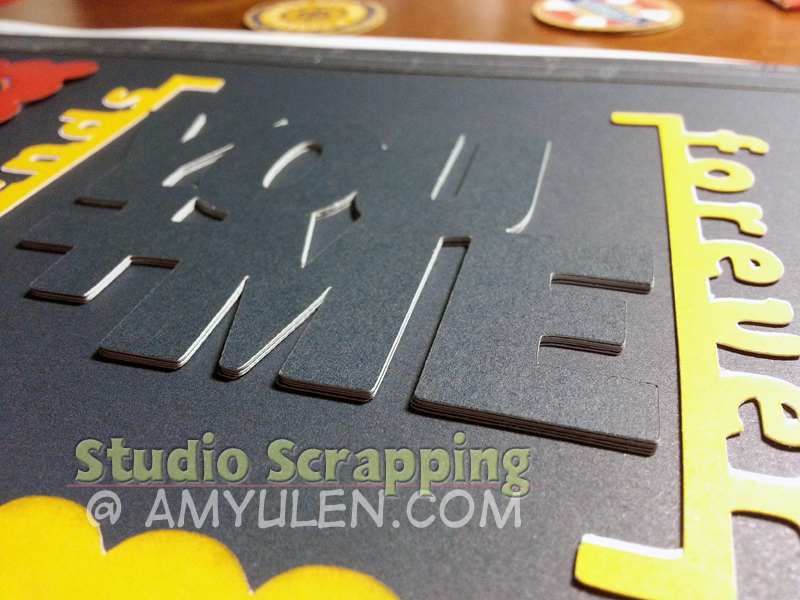 During the PJ party, I cut the pieces with every intention of recreating the sample layout. Yet, my photos were screaming for some nautical flair, so I pulled out my Tommy kit and went to work. I ended up with a bright layout that really showcases my focal photos. If you keep reading below, I’ll share some tips for creating this layout. 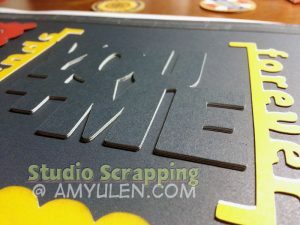 Yet, if you are ready to move along the Artbooking in August blog hop, you’ll want to jump back to the beginning and check out Rebecca Altamirano‘s awesome project. 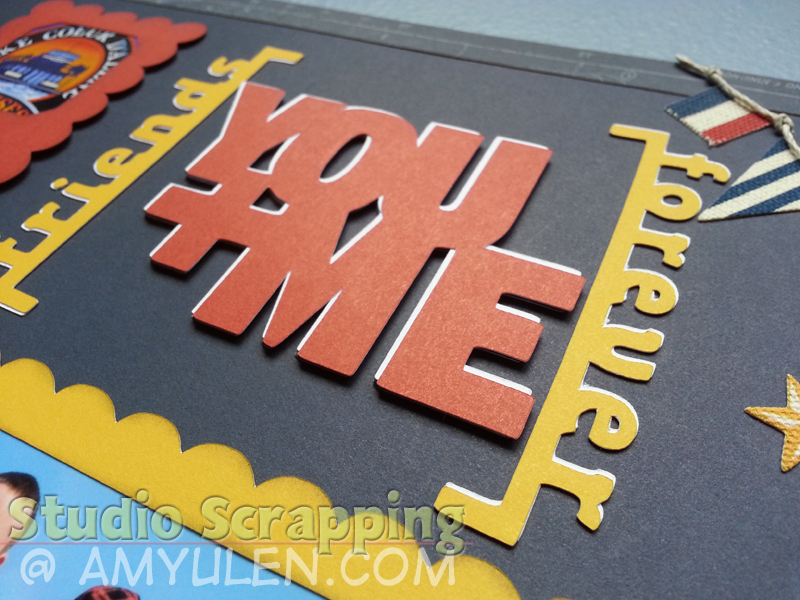 To create this double-page spread, I used the Friendship Layout on page 78. Since I was down to my last sheet of the map paper in the Tommy kit, I cut out an 11″ square from the center of the paper so that it would fit perfectly behind the large overlay. I used the remaining piece to frame the left side of the layout. That’s one way to stretch your paper when you get down to the last full sheet in a kit! You’ll also notice that I created the look of rope on my banner by putting knots in some Natural Hemp. 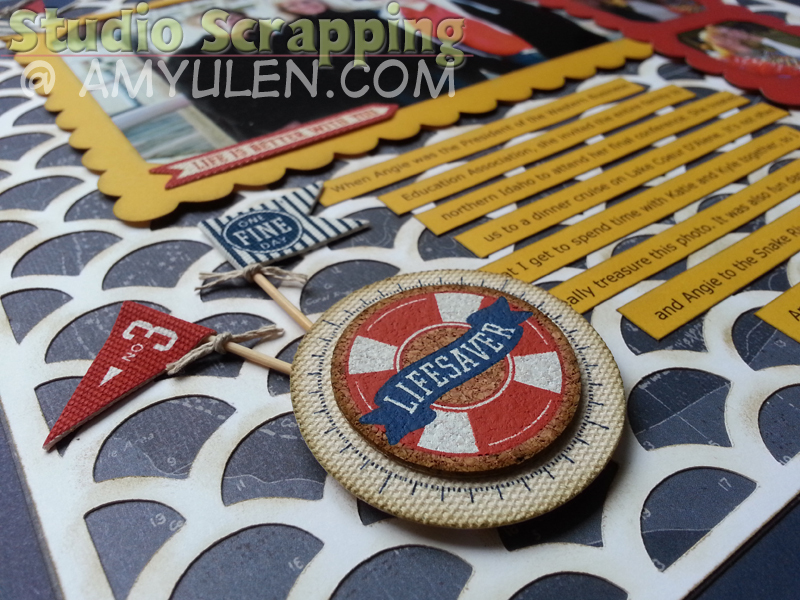 Love the way that little touch continues the nautical theme. To create the look of chipboard on my title, I cut the “You+Me” icon (page 58) from Outdoor Denim cardstock five times and layered each cut. I then placed the same cut in White Daisy. 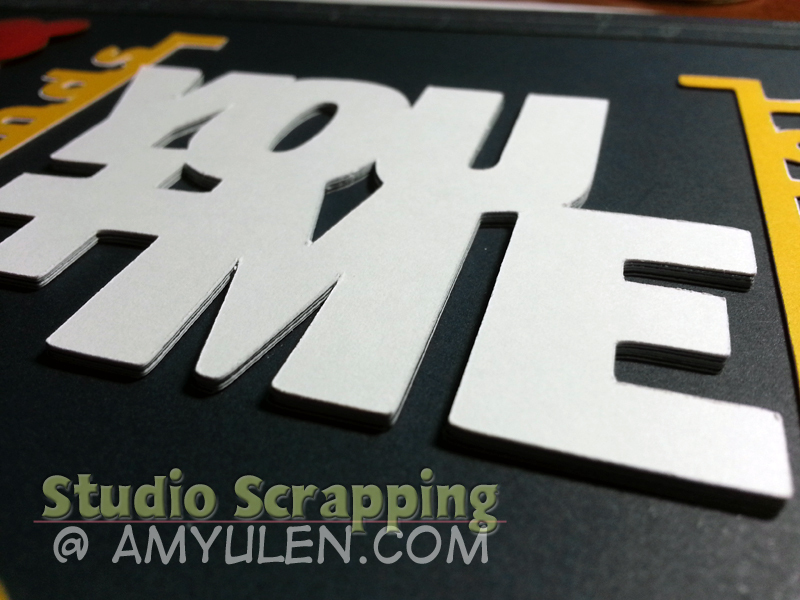 Finally, I offset the Cranberry piece on top of the stack to create a bit of shadow for the title. My last tip is to add dimension to your Artbooking cuts by inking the edges. I used a sponge dauber and Desert Sand Ink to give my White Daisy overlay a little more character. If you made it this far, thank you so much for reading my first Artbooking in August post! I hope you’ll leave a comment before heading on over to Rebecca Altamirano’s blog. If you would like to order the Artbooking collection and you don’t have a consultant, please visit my online store. I absolutely love this layout!! Your directions are ‘spot on’!! Thanks, Adeline! 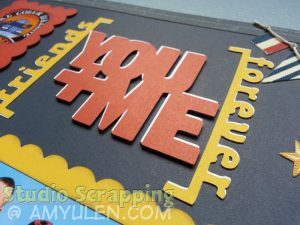 I had fun making it and am now busy planning the rest of my projects for the blog hop! 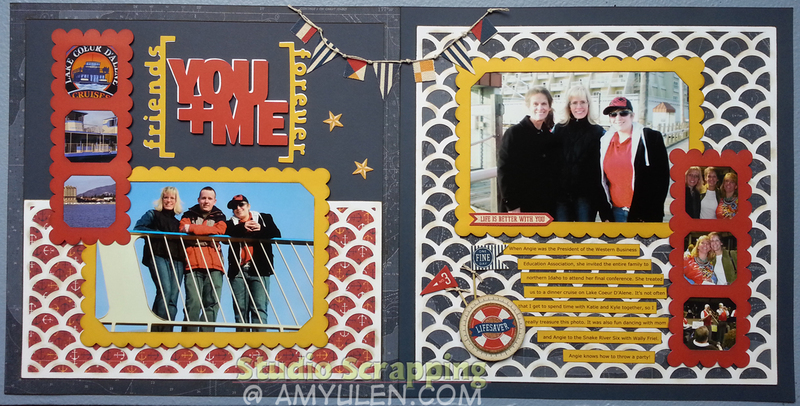 Great work on your fun layout! Great layout! If it wasn’t right beside the picture from the Pajama Party, I would not have recognized it. I like the white/red offset on the title. Love the layout. Tommy is one of my fav paper packs. Beautiful layout! 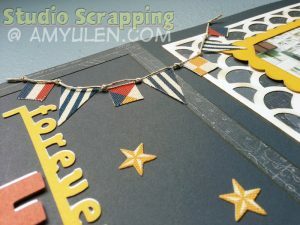 Turned out perfect and I love all the patterned paper you used. I love the color scheme you chose–it’s so much more interesting than the PJ Party sample! Thanks for the inspiration! i love your layout and love all your tips. my cartridge arrives tomorrow- my first day back to work after summer vacation! Thanks for the great ideas! Love this layout, Amy!!! Tommy is one of my favorites!